Despite being a hunter by definition, cats are rather fragile creatures when it comes to medications, some plants, substances and certain types of foods are quite poisonous to cats. The article below will give you an insight into common human medications that can poison your cat. Awareness is a large part of prevention. If you suspect that your cat has been poisoned, do not waste any time! Immediately contact your veterinarian. If your veterinarian is not available (in my experience animals always prefer to get sick outside of normal vet’s hours!) contact the ASPCA National Animal Poison Control Center on 1-888-426-4435. They are the best resource for any poison-related emergency in pets, and they are available all hours – 365 days a year. They will probably require a consultation fee, at the time of writing this article the fee is $65.00. Vet professionals can provide pet owners with ample amounts of information regarding pet health – it is suggested that pet owners have a close personal relationship with their vets. Vets state that pet owners should be more aware of acetaminophen and its use, and that it should not be administered to pets. Acetaminophen is a non-steroidal anti-inflammatory (NSAID) drug commonly available in such human forms as Tylenol and Percoset. It is also used in various other cold and flu medications. Although acetaminophen is a safe drug for humans to take to relieve minor aches and pains, it is highly toxic to your cat! Even one pill can be a deadly dose for a cat. Vets tell us to never give Tylenol (or any other form of acetaminophen) to your cat! Naturally, as a pet owner, I have heard people state that they have given their animals, dogs and cats, medications which were meant for humans. I did not think anything of it at the time; however, now that I am aware of this information, I will be more inclined to give others my opinion regarding their use of human medicines for animals. While some cats suffer from acetaminophen toxicity because they are given a pill, many cats may eat pills that are just lying around the bathroom. Some cats can even destroy the bottle the pills come in and get to the pills and ingest them this way. If you ever give your cat acetaminophen or even suspect that it has had access to it, take it to your vet immediately! In cats, acetaminophen is metabolized to a toxic compound that produces free radicals which are harmful to the liver and red blood cells. Early signs of acetaminophen toxicity include vomiting, drooling, dullness, and discoloration of the gums to a brownish color. 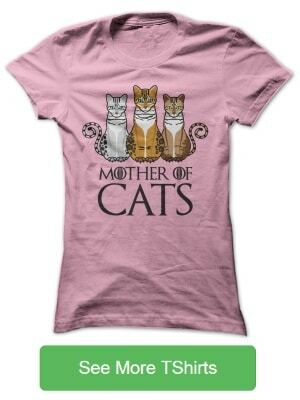 Within 24 hours your cat may experience convulsions, a swollen face and extremities, a coma, or sudden death. After about 24 hours toxic, liver failure occurs and signs will include yellowing of the mucous membranes and eyes, and a painful abdomen. Treatment is possible if started within a few hours of ingestion. Treatment will usually consist of IV fluids, and the administering of charcoal to your cat to bind the excess drug. The veterinarian may also give her something to induce vomiting. Your cat will need to stay in the veterinary hospital for a few days. If liver failure has occurred, your vet will try to prevent any further damage to the liver. However, prognosis for a complete recovery is very poor in this case. To prevent a possible toxicity in your cat, never administer any medications of any kind without previous instructions from your vet. If you are in doubt about whether a certain drug is safe for your cat, call your veterinarian’s office and ask. 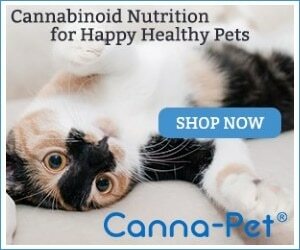 Never just assume that a drug that is safe for you will be safe for your cat. Cat owners – please take this important advice to heart and apply it each day. Keep humans medications and drugs away from your cats. This article has really peaks my interest. I worry a lot about my cat getting into my medicine and will make sure to take care they are away safe. I’m going to bookmark your web site and keep checking for brand spanking new information. Thank you, I enjoyed this a article on medicines and cats. Most people who own cats are not aware of this problem. The things is that cats are not able to break down drugs effectively. Cats can take a very long time to clear drugs out from their bodies. Therefore they can build up very harmful concentrations. 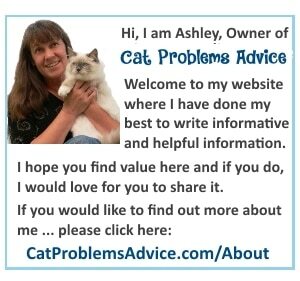 Hope you article makes cat owners more aware of the problems cats have with human medicines. This is all very good information. I’m going to bookmark this page for reference, but I learned a long time ago to give nothing to my cats but their food that the vet prescribes. I keep all medicine and household cleaners, etc in locked cabinets. Cat proofing the house is much like kid proofing it – we have to keep all our babies safe!